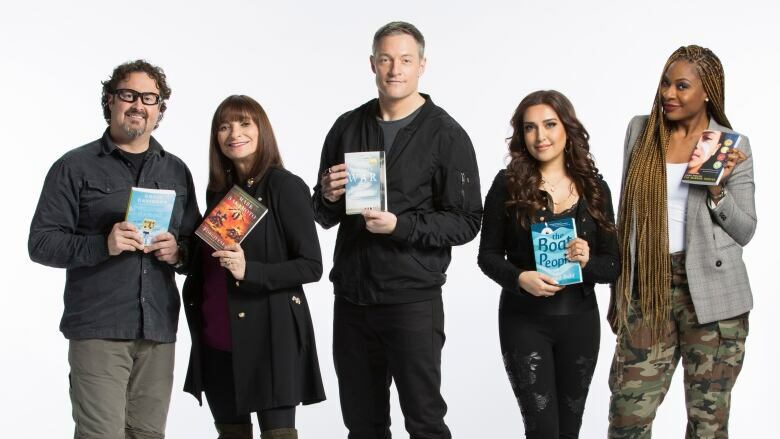 This year's Canada Reads panellists talk about which five books are going head to head and why their book choice is the book to open Canadians' eyes. This morning is a big day for books in Canada — it's the day that we get to find out this year's panellists and their book choices for Canada Reads 2018. This year's battle of the books will revolve around the theme One Book to Open Your Eyes, celebrating titles that challenge readers to look differently at themselves, their neighbours and the world around them. All five of the panellists join guest host Laurie Brown in the q studio to reveal their choices for the book they think all Canadians should read. To learn more about the panellists and their picks, go to cbc.ca/books.